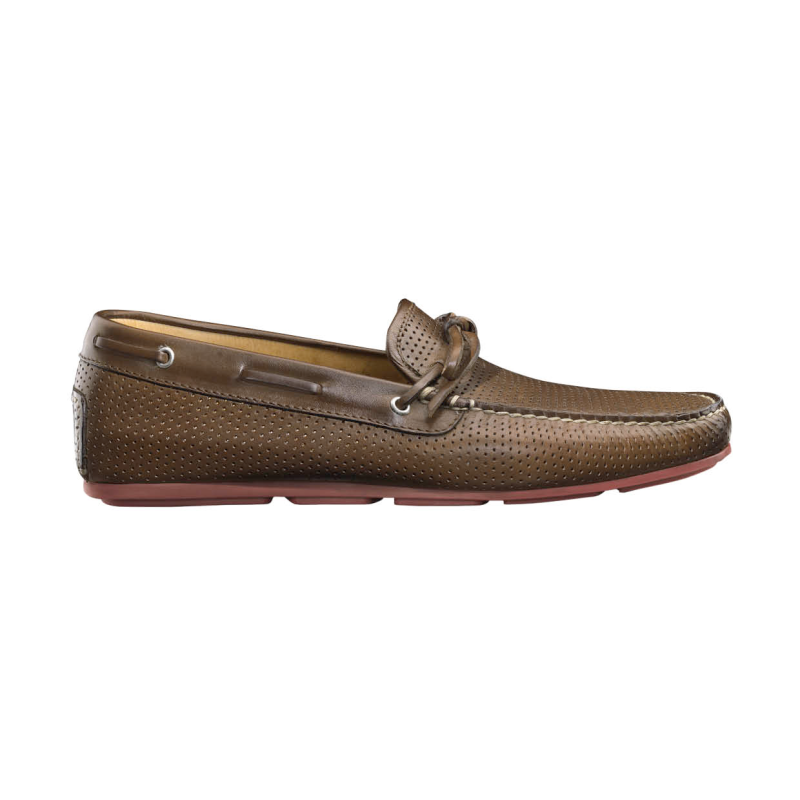 Comfort and style meet head on with an exceptional driving moccasin from Santoni. Features soft perforated Italian leather, bow tie accent, contrast color stitch detailing, comfort rubber driving sole. Perfect for long walks, or those Sunday drives, wear them all day and feel great while looking even better. Available in Brown and Blue. Made in Italy.